A brilliant and beautifully written novel in the tradition of Robert Graves’ I, Claudius, Augustus is a sweeping narrative that brings vividly to life a compelling cast of historical figures through their letters, dispatches, and memoirs. A mere eighteen years of age when his uncle, Julius Caesar, is murdered, Octavius Caesar prematurely inherits rule of the Roman Republic. Surrounded by men who are jockeying for power–Cicero, Brutus, Cassius, and Mark Antony–young Octavius must work against the powerful Roman political machinations to claim his destiny as first Roman emperor. 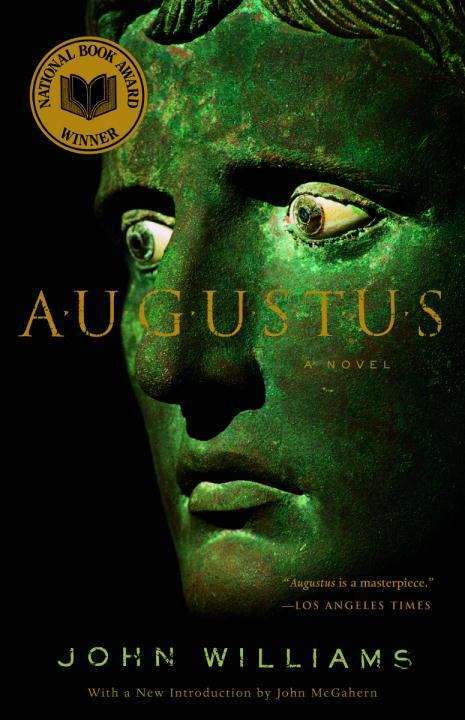 Sprung from meticulous research and the pen of a true poet, Augustus tells the story of one man’s dream to liberate a corrupt Rome from the fancy of the capriciously crooked and the wildly wealthy.